More then 1600 Gram Pradhans of villages located on the banks of River Ganga will discuss their role in Clean Ganga campaign. 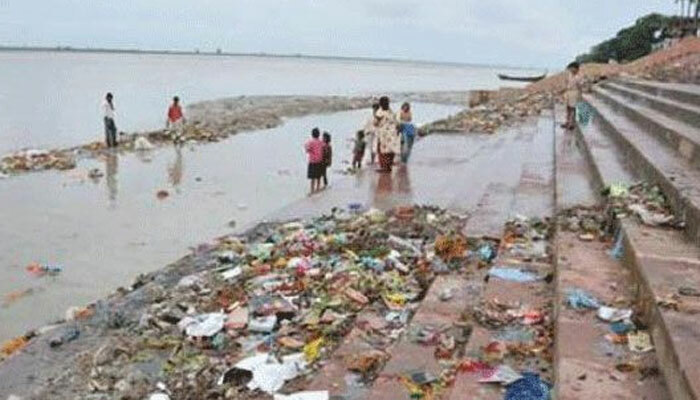 They will attend a day long program ‘Swachh Ganga-Gramin Sehbhagita’, a national level stakeholder consultation and sensitization programme to be held in New Delhi tomorrow. National Mission for Clean Ganga (NMCG) under the Ministry of Water Resources, River Development and Ganga Rejuvenation has organized the event which will also be attended by Chief Ministers of Jharkhand and Uttrakhand, Union Ministers of HRD, Tourism, Youth Affairs & Sports, RD & DWS, Ayush and Shipping, eminent policy makers, implementers and NGOs. Aimed at bringing all the stakeholders on a single platform, the one-day consultation and sensitization programme is a national dialogue on Ganga to facilitate interaction with various stakeholders and draw ideas that will give a better insight for framing a strategic long-term policy for restoration of the Ganges. Deliberations will take place on themes of medicinal plants and livelihood, treatment of rural solid waste and gram swachhta. The programme will provide a platform for various stakeholders to come together to discuss the issues and possible solutions to the challenging task of Ganga Rejuvenation. The views expressed by the stakeholders participating in the programme will be helpful in formulation of road map for the preparation of a comprehensive plan to rejuvenate the Ganga. The programme would begin with an opening session and address by Sushri Uma Bharti, Union Minister of Water Resources, River Development and Ganga Rejuvenation followed by separate sessions including address by Chief Ministers of Jharkhand and Uttrakhand, Union Ministers of HRD, Tourism, Youth Affairs & Sports, RD & DWS, Ayush and Shipping, screening of video on Namami Gange Programme, address by Acharya Balkrishna on Medicinal Plants and livelihood in upper ridges of river Ganga, various presentations on Ganga Gram, Unnat Bharat Synergy, Seenchawal Model of River Cleaning and treatment of open drains in villages. Ganga Vichar Manch, a portal created with the aim of initiating interactive dialogues among various stakeholders of River Ganga will also be launched during the convention. The programme will also feature the Signing of Memorandum of Understanding with various Ministries of Govt of India. The programme will conclude with a combined experience sharing session where all the Gram Pradhans will come together to discuss their views, ideas and share their experiences in the presence of eminent personalities, renowned environmentalists, representatives of various Ministries and policy makers to facilitate formulation of a long-term strategy.